On the 13th of February 1857 (the same year famous Glasgow Socialite Madeleine Smith was accused of poisoning her lover), a meeting took place at 20 Kew Terrace, the home of John Blackie Snr, noted publisher and writer (A Short Life of Burns). Blackie had envisaged that a major residential development would soon take place west of Kelvinbridge and that these new residents would need a place for their spiritual well-being. At this meeting, with several other leading members of the Free Church in Glasgow, it was agreed that a new place of worship must be built. Soon after, the lands at the junction of Byres and Great Western Road were secured at a cost of 8/- per square yard. On the 4th September 1862, the publisher John Blackie Snr (who was the buildings main sponsor) laid the foundation stone and the work of building the church finally began. The cost of building Stevenson’s church was estimated at £4873. A bank credit for £5000 was arranged by John Blackie, Walter Blackie, Robert Binning, Joshua Paterson and Peter Ferguson. But, as with most building projects e.g. Scottish Parliament, the actual cost far exceeded the projected and the final bill amounted to £9500. The building itself is geometric with a tall campanile tower with pyramid spire. 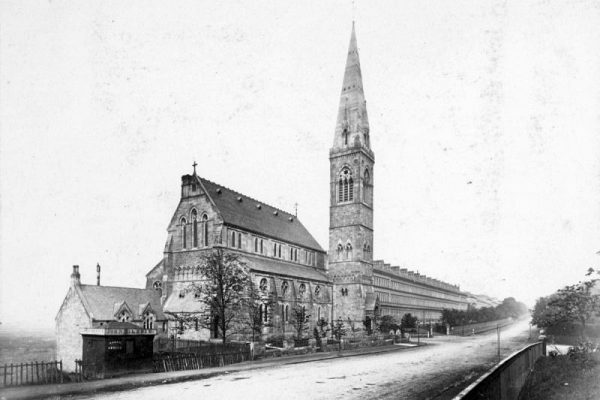 The spire of the church is described as an Italian Gothic Pyramid and is said to be the first to show a markedly foreign influence in Glasgow. The tower itself is a reflection of the original scheme as designed by Charles Wilson. Charles Wilson’s design was described as beautiful and classical, but proved a little too rich for the Church. Instead they employed the talents of J. J. Stevenson, who offered the cheaper quote. The main body of the church contains slim, cast iron columns that elegantly reach and create an arcade capped by beautiful but simple arches. Ornamenting these arches is a series of rather stern looking heads, which can still be seen in what is now our breathtaking Auditorium. Originally one bell called the faithful to worship, but as the years passed the peal paled and a generous gift of 8 bells was given in its place. The bells were cast in the Whitechapel Foundry, London and are tuned to the notes of the diatonic scale. In order to minimise the strain on the building, the bells are hung so that they ring without swinging (Quasimodo would have been disappointed). The peal forms a memorial to the men of Glasgow Academy, Kelvinside Academy and church congregation who died in the Great War. The largest bell carries an inscription, a version of which is carved in the north porch, while the other seven each bear a four line stanza from the sixty-sixth Paraphrase. 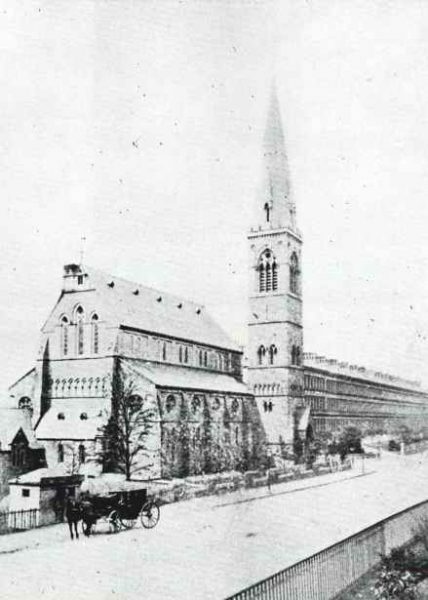 The bells were gifted to the church by Mr. Nicol Paton Brown, whose only son, Captain Kenneth Ashby Brown lost his life in battle, shortly after the bells were installed. The bells were rung for the first time on Christmas Day, 1917 and were inaugurated for their purpose the following February. In December, 1918, the bells were formally dedicated in a special service at which both West End schools were represented. To this day the bells can still be heard ringing from Òran Mór at 11am each year on the 11th of November.